Can Lord Brahma and siva be in this category? The word avesa means “entering into”. 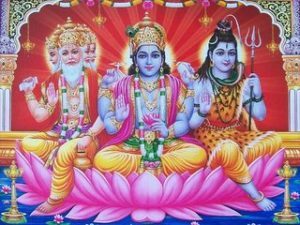 When a particular divine energy (sakti) enter into a living entity for a specific task, he comes to be called Sakti-avesa-avatara, that for grammatical reason becomes Saktyavesa-avatara. We find information about the saktyavesa-avatara in Teachings of Lord Caitanya (Chapter 6). First of all there are two types of saktyavesa-avataras. Infact Srila Prabhupada says “when Sri Krishna empowers some suitable living entity to represent Him, that living entity is called avesa-rupa or saktyavesa-avatara”. Therefore we have these two types of saktyavesa-avatara. Therefore Brahma is a saktyavesa-avatara but also a guna-avatara. Examples of indirect, or avesa, avataras are the four Kumaras, Narada, Prthu and Parasurama. Examples of direct, or saksat, saktyavesa-avataras are the Sesa incarnation and the Ananta incarnation. Concerning Lord Siva, He is a guna-avatara, representing tamo-guna, the quality of darkness. He is not a jiva but a particular expansion of Narayana for dealing with the material creation.